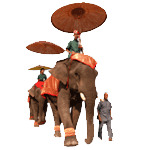 Laos Classic tours are a perfect way to get an overview of Laos. Discover the capital Vientiane, Luang Prabang (UNESCO world heritage) and beautiful scenery of Vang Vieng. From Vientiane to Luang Prabang, Pakse to Champasack, enjoy the wonders of Laos from north to south. From Vientiane, you will go up to the magnificent plain of jars then continue with an exploration of Luang Prabang. Go on a discovery of southern Laos. Total immersion around and in the heart of this unique city, World Heritage Site by UNESCO.